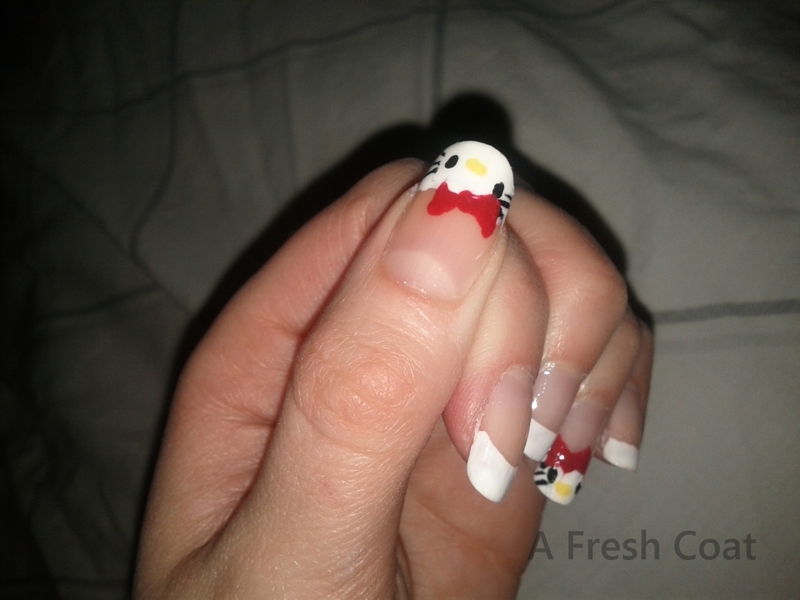 I have re-created this manicure from the cutepolish video. I have seen this cute design, all over, by everyone in different variations. Go Hello Kitty!